A great introductory acoustic, priced for anyone to afford. 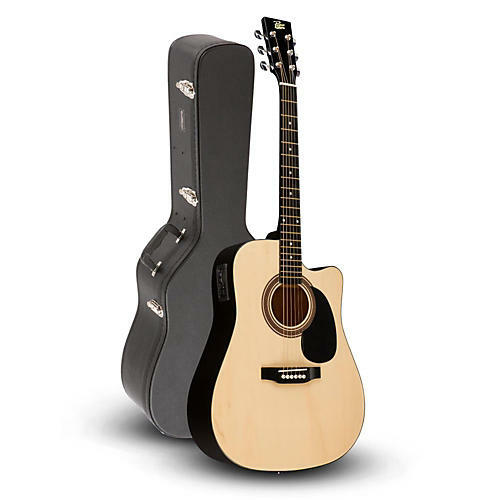 From Rogue comes this amazing deal in the RA-90 dreadnought acoustic guitar with Road Runner RRDWA case. The Rogue guitar is an ideal instrument for the beginner, or young musician. The body depth and width bring out balanced tone and plenty of projection to be heard from across the room.